The module is especially made for large catalogues, it avoids the overload of your server and timeout errors. 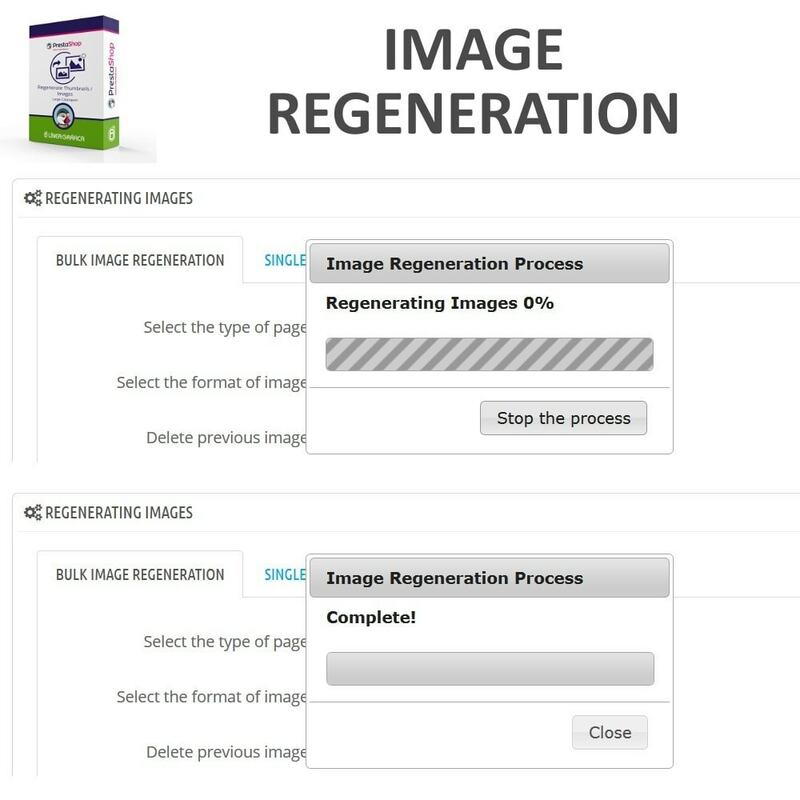 Our module doesn't overload your server and allows you to regenerate your images all at once without any problems. 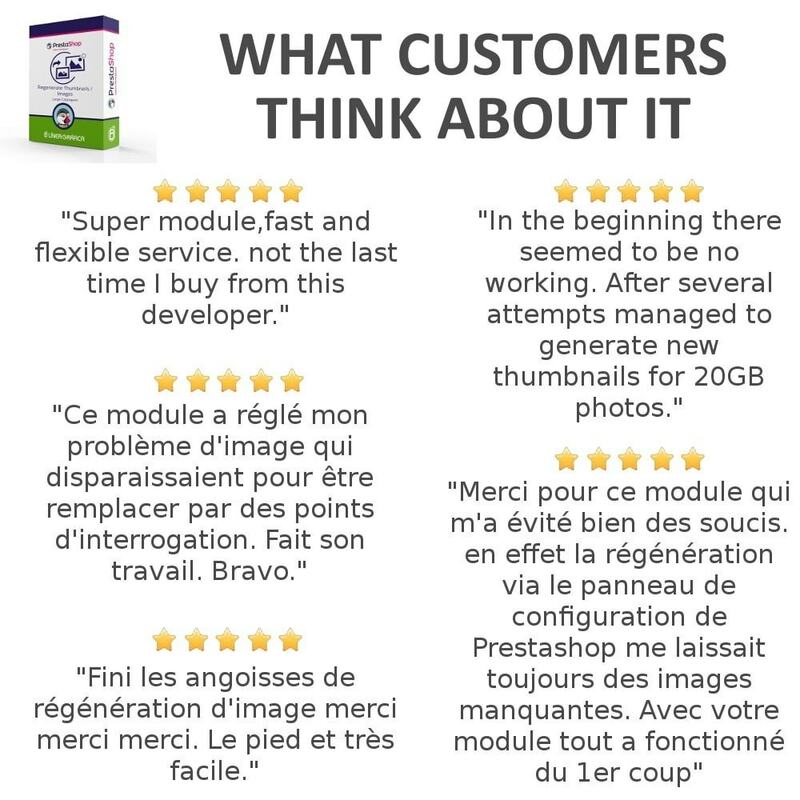 Because regenerating many images on a slow server is usually not working when you use PrestaShop native feature due to an overload of your server. We have developed this module to solve this problem. 2. 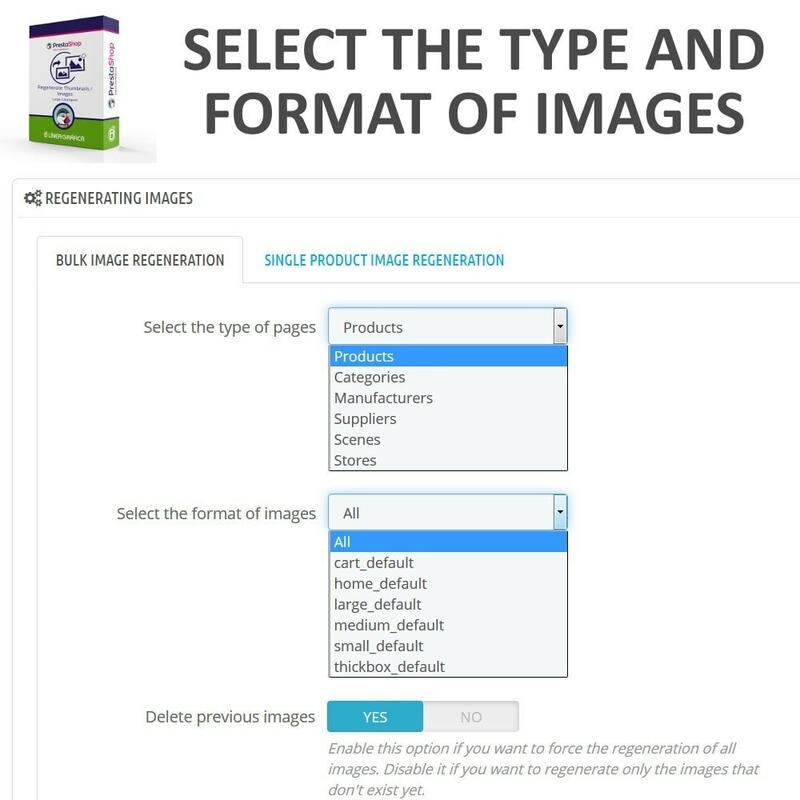 Select the format of images you want to regenerate (list of the formats of the menu "Preferences > Images") >>> The module uses the configuration set in the menu "Preferences > Images"
4. 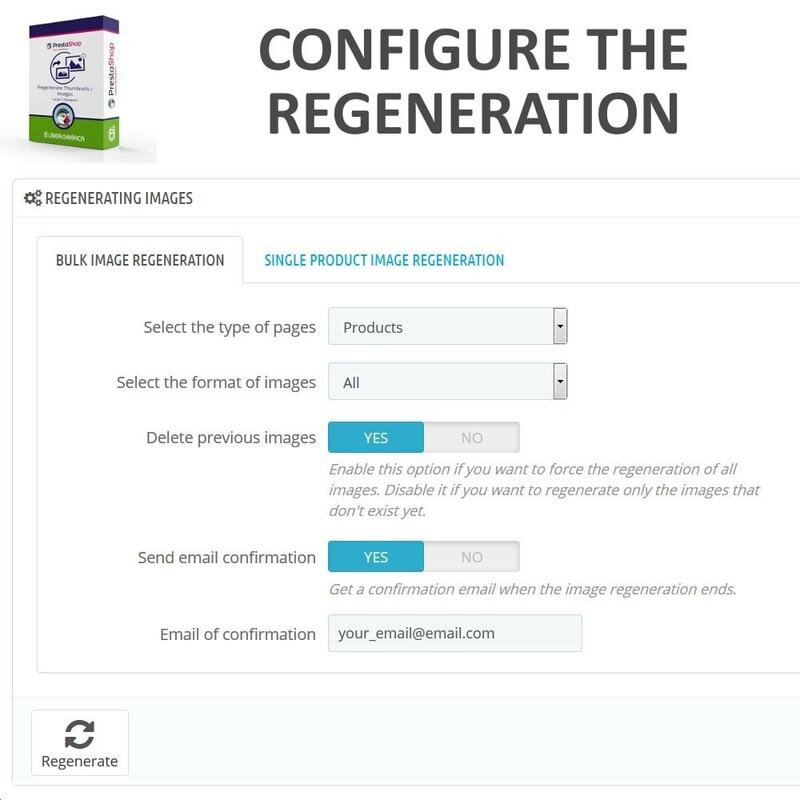 Click on the button "Regenerate"
The module is able to include the watermark on your images (PrestaShop native module "watermark") only from PrestaShop version 1.6.0.11 and later (NO COMPATIBLE with watermarks modules in 1.7 version). Our module creates an override of the "watermark" module. 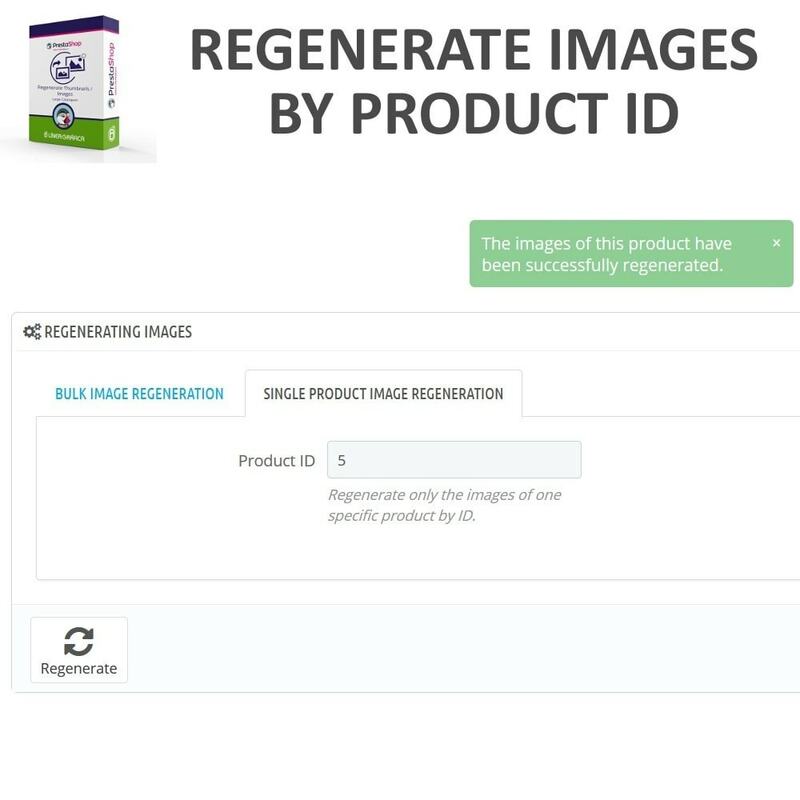 This module allows you to regenerate all your images so that your customers don't see any missing images when they are browsing your store. NO COMPATIBLE with watermarks modules in 1.7 version. 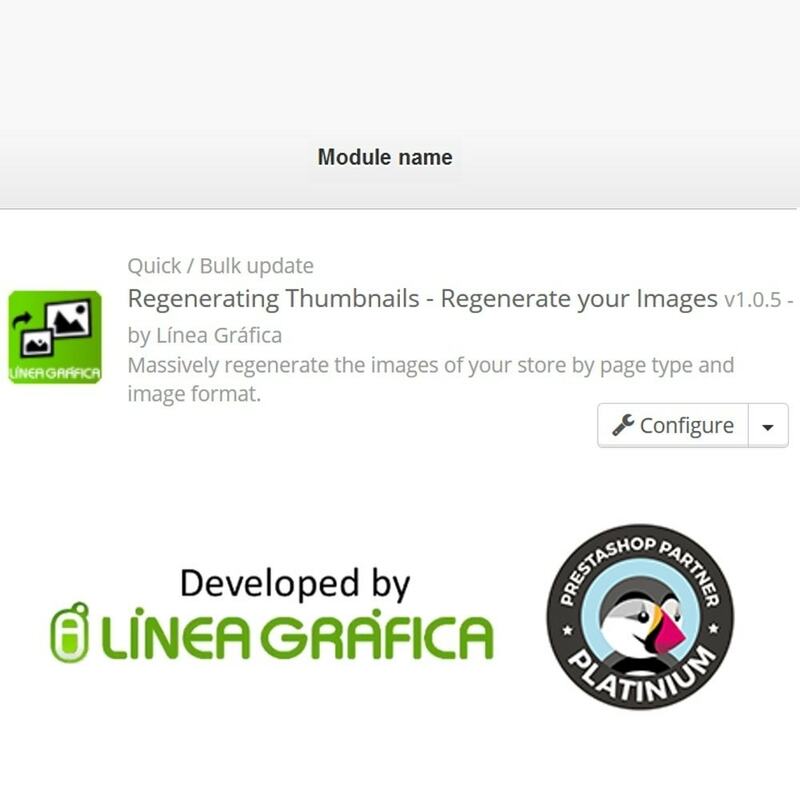 Our module is compatible with the multistore and allows you to regenerate the images of all your stores. 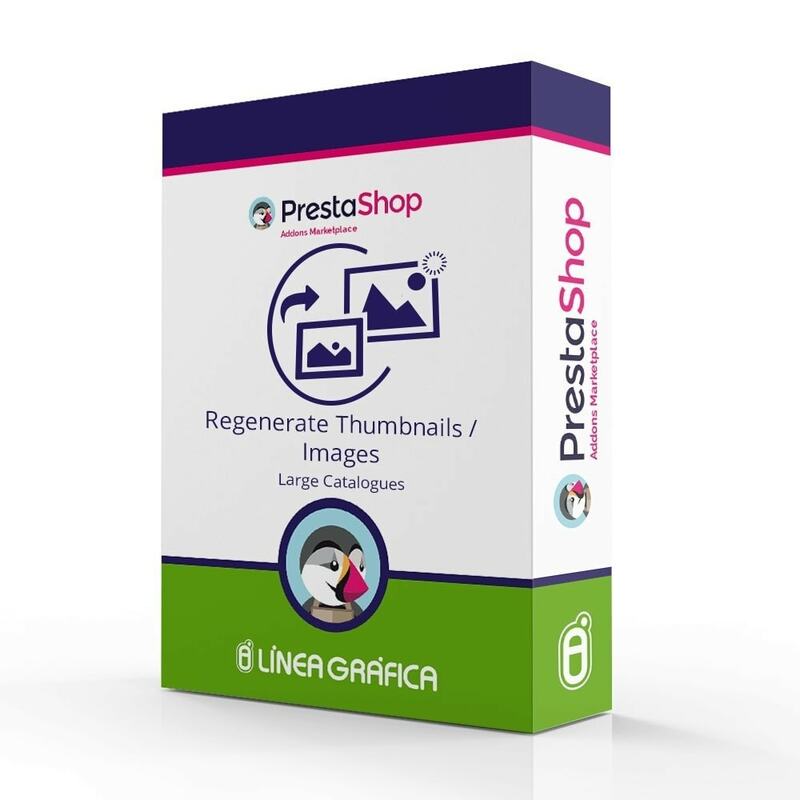 The module creates automatically an override of the watermark module (PrestaShop native module) in order to be able to include the watermark on the regenerated images (only from PrestaShop version 1.6.0.11 and later).